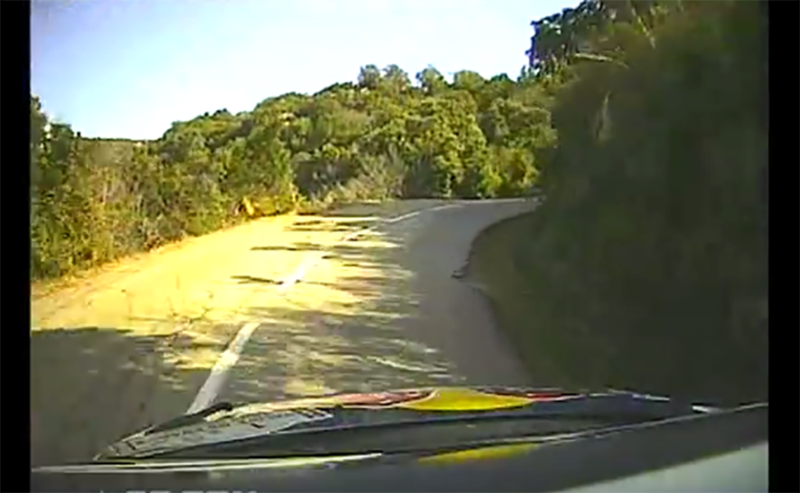 This weekend sees the return of the legendary Tour de Corse to the World Rally Championship for the first time since 2008, so we thought that it was about time we shared this brilliant action from FoS star Sebastien Loeb. The sometimes slightly dilapidated tarmac of Corsica hosted the French round of the WRC from its inception in 1956 until 2008, after which the rally was transported to the mainland due to the popularity of Alsace-born Loeb. That wasn’t the end of the famous rally though, as it continued every year except 2010 as a round of the Intercontinental Rally Challenge or the European Rally Championship, but 2015 will be the first time since that it has featured as a round of rallying’s top tier. Set on challenging mountainous Corsican roads the rally has only been won by non-French competitors 13 times in over 50 years, so betting on whether Sebastien Ogier can claim another French title in 2015 is probably pretty pointless. Back to 2008 and Sebastien Loeb is on dominant form. The now WTCC race winner having won an astonishing nine of the 12 rounds that had preceded the WRC‘s trip to the Mediterranean. He would win his fifth title that year. Only Mikko Hirvonen’s Ford was able to keep anywhere near Loeb’s Citroen C4, and he was only able to clinch three wins to the Frenchman’s 11. As we join Loeb he is about to attack stage 15 in the rally, one which would, almost inevitably, fall to him on a rally in which he claimed 14 wins from just 16 tests. It is an absolute masterclass in tarmac rallying, a surface on which Loeb was near unbeatable in his WRC career. The X-games champ remains almost unbelievably smooth, even when the famous Corsican roads decay to near gravel – apparently completely unaware of the dizzying drops to the side. Loeb will be returning to a rally car early next year when he mounts his first challenge on the daunting Dakar rally with Peugeot, as we revealed earlier this week. Hopefully we’ll see him back at the Festival of Speed too when the WTCC stages an official timed shootout.